Posted on November 22, 2017 at 10:48 am. 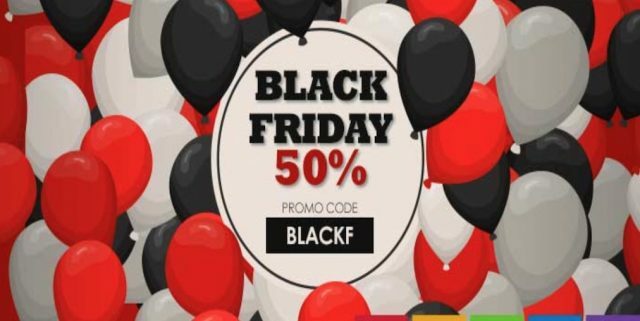 Black Friday is the all-out shopping extravaganza that follows Thanksgiving in the United States, and with the madness of Black Friday almost upon us, online casinos are starting to roll out the hefty discounts and bonus offers to get in the spirit of the shopping season. This Black Friday Bonus is only available to players from the United Kingdom, New Zealand, Finland, Sweden, Norway, Germany, Iceland, Ireland, Netherlands, Luxembourg, South Africa, Switzerland and Austria. The ongoing welcome bonus and Black Friday bonus are subject to a 35X wagering requirement before the bonus balance will be converted into real money. Any unused bonus money expires within seven days of being issued. Slots Million is one of the most comprehensive casino sites on the Web, but don’t let the name fool you – not only does Slots Million offer over 1,800 real money slot games, but you will also find a giant collection of table games, card games, number games and live dealer games, from the biggest collection of software developers. All titles are available for instant-play with no downloads required, and new games are added regularly so fresh content is never far away. Visit Slots Million to see for yourself why this is one of our top rated online casinos, or read our detailed Slots Million review to find out more.